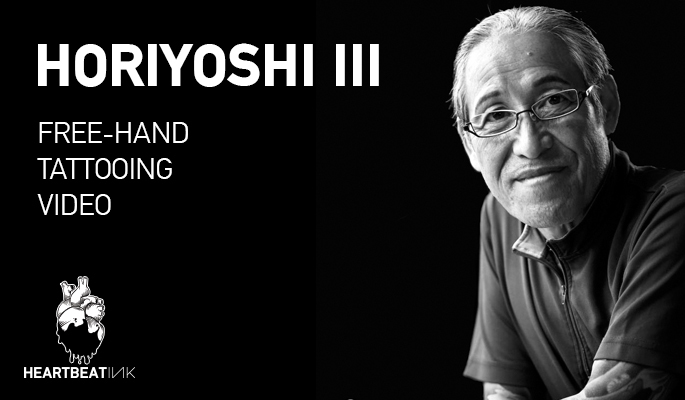 Tattoo legend Horiyoshi III is undoubtedly a living master of traditional Japanese tattoo. Based in Yokohama, Japan, he is still tattooing at his studio there, while his wife, Mayumi Nakano, manages "Yokohama Tattoo Museum". His son Souryou is also a tattoo artist, carrying his father's tradition. Here's an impressive video of Horiyoshi III tattooing free-hand.